Father’s Day is quickly approaching, and many of us are looking for that gift that will let our fathers know how much we appreciate them. While Father’s Day is a holiday with which almost everyone is familiar, few people know the interesting history behind this annual holiday. 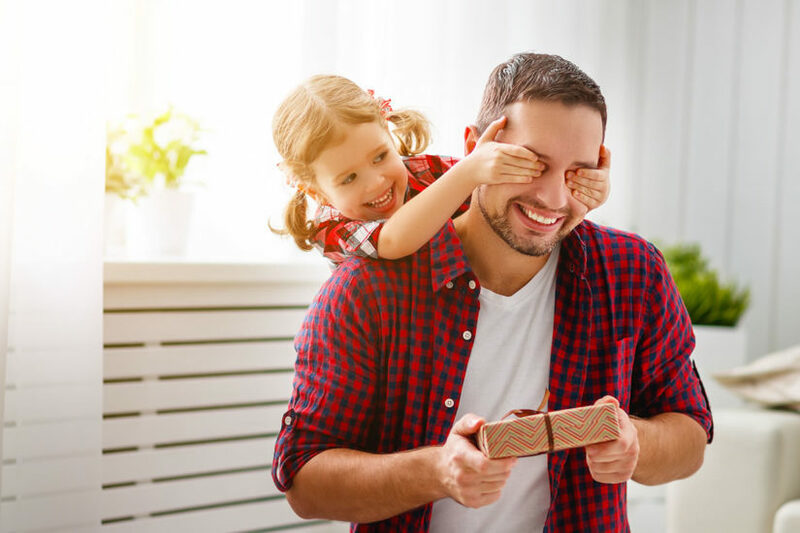 Learning more about the history of Father’s Day can help you more fully enjoy this celebration and understand why it’s such a cherished holiday. As with many holidays we celebrate today, Father’s Day began as a primarily religious observance. A traditional Catholic holiday celebrating fatherhood, Father’s Day has been recognized in some way dating back to the Middle Ages. Traditionally, Father’s Day took place on March 19, which is the date the Catholic Church celebrates the Feast of St. Joseph. While the modern version of Father’s Day began in the US in the early part of the twentieth century, it was soon adopted in Canada, and Canadians have celebrated Father’s Day ever since. While not as widely celebrated as Mother’s Day, and less commercially promoted, Father’s Day has a special significance for Canadians nonetheless, and shows no signs of waning. But we promised you the history of Father’s Day, so here it is, starting with its modern roots in the United States. While Father’s Day has been celebrated for hundreds of years, it was not observed in the United States until the 20th century and may not have gained attention without the creation of Mother’s Day. Anna Jarvis was the champion of Mother’s Day, successfully lobbying for the holiday’s first celebration in the early 1900s. The purpose of Father’s Day was to complement Mother’s Day by recognizing the father’s role in parenting. Interestingly, both these holidays had their first official celebrations in West Virginia. Mother’s Day was first recognized in Grafton, West Virginia, and the first celebration of Father’s Day as we know it today took place in Fairmont, West Virginia, on July 5, 1908. While a time to honor and celebrate fathers, Father’s Day was inspired by tragedy. In December 1907, the Monongah mining disaster killed 361 miners, with 250 of these men being fathers. Grace Golden Clayton was one of the people who lost their fathers due to the mining disaster, and she suggested to her minister that a special service be held to honor the fathers who were lost in this tragedy. This first Father’s Day in Fairmont, unfortunately, did not lead to the holiday’s celebration nationwide. The two main reasons that Father’s Day failed to gain popularity at this point were because the event was not advertised outside of Fairmont, and the celebration took place only a day after the town’s Independence Day festivities. Like the Fairmont Father’s Day celebration, several other attempts to establish this holiday failed to gain attention. In 1911, three years after the Fairmont event, a Chicago social activist named Jane Addams requested a citywide recognition of Father’s Day. Unfortunately, her request was denied. A year later in Vancouver, Washington, J. J. Berringer, a local Methodist pastor, held a Father’s Day celebration at the suggestion of an area newspaper. Unaware of the earlier Fairmont event, Berringer believed that his Irvington Methodist Church had held the country’s first Father’s Day event. Since information was not transmitted as easily in the past as it is today, many people in the early 20th century believed they invented or first celebrated Father’s Day. For example, in 1915, Harry C. Meek claimed that he was the inventor of Father’s Day and decided it should be held on the third Sunday of June, his birthday. Meek spent many years trying to make Father’s Day an official holiday and was named the originator of Father’s Day by the Lions Club International. In reality, Father’s Day would not have reached the status that it has today without the efforts of one woman, Sonora Smart Dodd. One of the reasons that Dodd was so passionate about the holiday was that she and her siblings were raised by a single father, William Jackson Smart. Dodd was inspired to start a holiday for fathers after hearing a sermon at her church about Anna Jarvis’s effort to establish Mother’s Day. After the sermon, Dodd approached her pastor and said she believed fathers deserved their own day of celebration. Her original idea was that the holiday be held on June 5, her father’s birthday. Instead, to provide more time to prepare sermons for the holiday, Dodd proposed that the Father’s Day event be held on June 19, 1910, the third Sunday of the month. Dodd continued holding these celebrations in Spokane, Washington, for many years until she left to study art in Chicago. She resumed celebrations when she returned to Spokane in the 1930s. Based on Dodd’s efforts, several politicians attempted to formalize the holiday with little success. U.S. President Lyndon B. Johnson designated the celebration of Father’s Day with a presidential proclamation, and Father’s Day was made a national holiday in 1972 by President Richard M. Nixon. Although it took some time for Father’s Day to be recognized as an official holiday, it is now a cherished celebration for millions of people around the world. Now that you know the history of Father’s Day, we invite you to plan a celebration that will honor the fathers in your lives with the enthusiasm intended by the holiday’s first champions. Most Canadian dads can look forward this Sunday to a host of gestures and gifts from their children, including the perennial favourites such as pancakes for breakfast, socks, ties, and aftershave, just to name a few. So perhaps all dad wants is to spend time with his kids and feel loved and appreciated, and the best thing you could do for him is to show him that love.